In a world of LOLs, BRBs, WTFs, and ROTFLMAO you may have come across the acronym “ICYMI.” For those not in the know (or for those who could care less about internet slang) ICYMI stands for In Case You Missed It. We work hard here at FTTDWYW to generate quality content on a sometimes too regular basis. As such, sometimes things can get lost in the shuffle for our readers. 1. The first is Coralie’s awesome recipe for Sweet and Spicy Sweet Potato Cubes. I love dual-flavored foods; salty/sweet, sweet/spicy, bitter/sweet, etc. I live for food duality! This recipe has become a weekly staple in my house. Both Jojo and I love them. I even made them when my parents were here to visit! High praise, indeed. The prep is so quick and easy for such a huge pay-off! 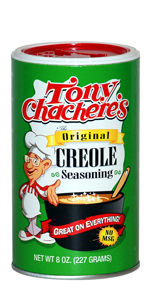 This recipe introduced Jojo and me to Tony Chachere’s Famous Creole Seasoning. Although I remember seeing a bottle of it in the back of my moms spice cabinet growing up (hard to miss a big green shaker with an adorable old man on it) I didn’t remember using it or anything about it. We’ve modified the recipe slightly to our tasting… which means there are more calories in it. 🙂 Though not that many! After peeling and cubing the sweet potatoes we splash a little olive oil and then add 1 tablespoon of cinnamon, 1 1/2 tablespoons of the Creole Seasoning, and then a teaspoon of brown sugar. I mean, how bad can one teaspoon of brown sugar be between two people? And it makes the edges so gloriously chewy and helps the natural sugars caramelize. The recipe is hardly a science and meant for personal modification. But do yourself a favor and try this spicy/sweet combo. It is such a great side dish with great health stats, too. 2. When I’m at home, unless I am reading, writing, talking, washing dishes, or sleeping chances are the television is going to be on in the background. I won’t apologize. I love t.v. and have watched a goodly amount of it. Recently, I found myself in need of a new show and, upon Coralie’s recommendation, gave Parenthood a shot. Y’all. Y’allll. This show. It is so good. So good. I devoured all five seasons of it (four on Netflix, one of Hulu) and was so pleased to hear that it got picked up for a sixth (and final) half season. Not only does it have the highest amount of former Friday Night Lights actors around, but Craig T. Nelson AND Peter Krause?! But, let’s talk about the elephant in the room: Dax Shepard. In my circle of friends, there is a lot of jealousy and confusing in regards to Dax Shepard… who is known only through his marriage to Kristen Bell/Veronica Mars. After watching this show, let me tell you guys, I get it. I am a Dax fan. Matter of fact, the whole cast is pretty flawless… which is a rarity on a show that large… at least, for me. The show handles a huge spectrum of plotlines that, when listed, would appear maudlin and hackneyed. The writing and acting are so spot on, however, that these “tired” stories become real and relatable. So much drama. So often this television genre gets done poorly… but this is not one of those cases. Plus, thanks to this show, I now have more of a context for Mae Whitman other than Arrested Development. Though I still say, “her?” EVERY time she comes on screen. Plus, the music is great. I don’t have kids, but I do have family. And that is what this show is about. I would, however, be curious to see what the Asperger community has to say about Parenthood. 3. And although I could go on and on about all of Coralie’s great posts, my third reiteration is for her recipe for Chicken Cacciatore. This is now a weekly recipe in our household. So delicious. We used red wine (instead of the recommended white– it’s what we had!) and both versions were awesome. We serve ours over quinoa though we ALSO love the brown rice pasta. Since peppers are a vegetable Josh will eat, we two more bell peppers to the sauce and omit the capers (a Jojo request)… but this dish is a home run however you slice it. The chicken is so tender and the flavors are so yummy. Plus, I love looking over and seeing the Fun Things To Do While You’re Waiting website pulled up on Josh’s Surface tablet sitting in our cookbook stand as he uses the recipe. Warms my heart and my belly! Anything else you’ve missed? Check out our index pages (Things We Do, Things We Like, What’s Cookin’?, The Pinterest Experiment, and …Everything Else) or use our search feature found in the left hand column! Have you recommended something you saw on FTTDWYW? 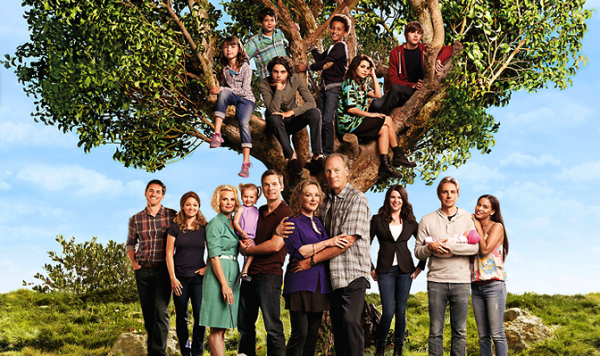 Would you like to be an honorary member of the Braverman family? Can you think of any other recipes where the white and red wines work interchangeably? As always, let us know! We always love to hear from you guys! How Do YOU Suh-Lahd? Pesto is the BESTO!!! Meatloaf Lifehack! 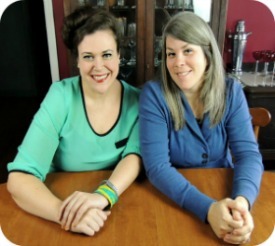 Everything Else, Main Courses, Side Dishes, Stuff We Like, Stuff We Make, The Pinterest Experiment, Uncategorized, What's Cookin'? 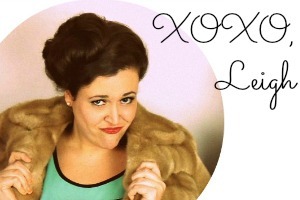 Coralie, Leigh, Main Courses, Music, Parenthood, Side Dishes, sweet potatoes, Television, Things We Like, What's Cookin'? If it’s Josh approved, then I know Mazzy will like it! 🙂 I’m adding the Chicken Cacciatore to my list of recipes to try! Thanks for resharing.